Nasi lemak and satay party! 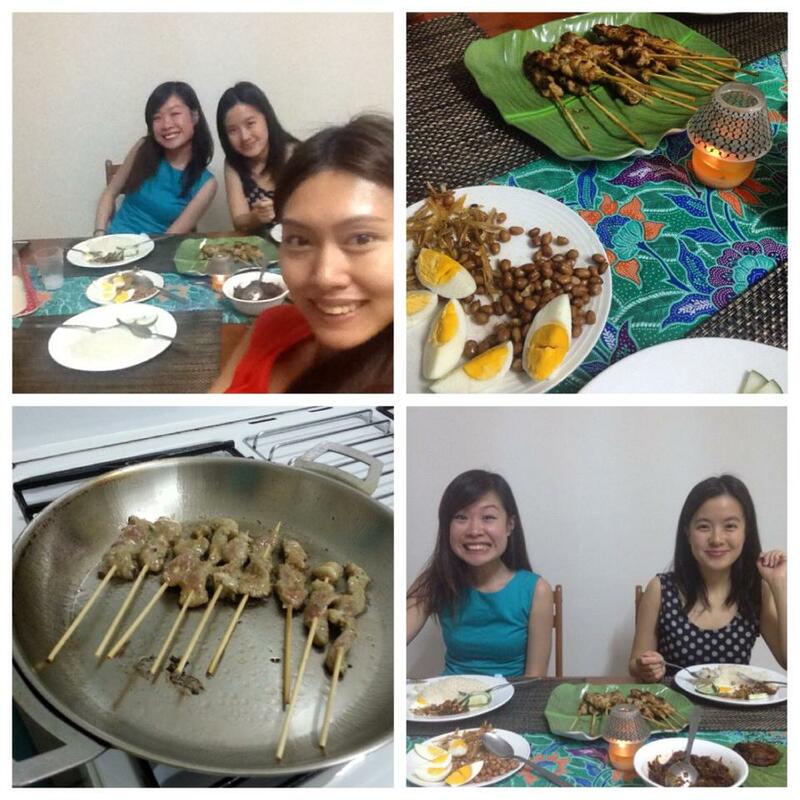 Instead of meeting at a restaurant, I invited Mei Wen and Adeline to my place; we had nasi lemak and satay party! It doesn’t necessary take a long time. Nasi lemak can be made in about half an hour, and Mei Wen offered to help with poking and cooking the satay which meat I’ve marinated days ago. It’s much more fun, cosy and affordable than dining out! Note: My friends are adorable they have problem staying single 😛 So we made a bet, if the girl who is currently single gets into a relationship before March 2015, she’s going to cook a meal for me. Otherwise, I’m going to throw another party. Whatever happens, I like the results already!